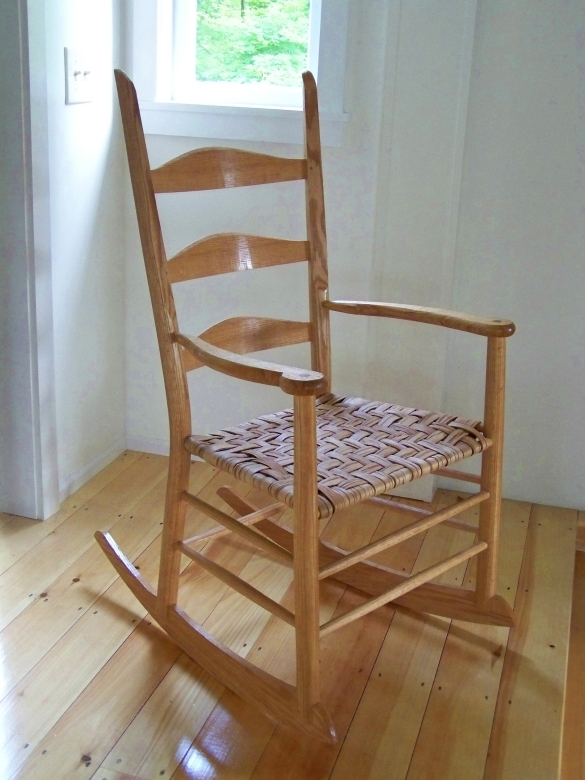 The sweeping bend in the rear leg posts and the form fitting curve of the back slats both add to the beauty and comfort of this handcrafted rocking chair. Made of red oak with a hickory bark seat. Hickory bark is a very strong seating material that wears well and develops a beautiful patina with age. This rocker is also available with a tape seat made of durable cotton canvas or woven seagrass.